Please check, check, and then re-check the labels before you purchase. This list is only a guideline and can't be relied on solely. 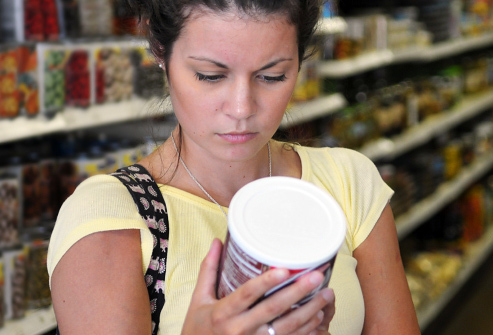 Hidden gluten can be lurking somewhere disguised as another name such as: natural flavors, maltodextrin, other spices, emulsifiers, flavorings etc. I will also include a list with gluten containing foods so you can compare.To see that page, you can click here. It will help give you a balanced view and it is never a bad thing to have a few lists around, especially when you are learning how to live gluten freely. But for now, lets focus on this list of gluten free foods. It is interesting (and always fascinating to me) to note that ALL fresh vegetables, fruits, and herbs/spices are naturally gluten free. This makes your shopping experience easier and healthier as well as long as you make sure that they are naturally selected from the fresh produce aisle and minimally processed and seasoned. When looking for frozen vegetables and fruits, make sure that they are not processed with chemicals to keep them longer as these may contain hidden gluten. Purchase organic if you can. ALL fresh meats, poultry, fish, and shellfish are gluten free. Also fresh made hot dogs and luncheon meats are considered gluten free. NOT packaged hot dogs or luncheon meats. Please check the labels with those for additives usually containing gluten. Vegetable, sunflower, olive, canola and other natural oils are considered gluten free. Butter, mayonnaise, shortenings, and salad dressings (such as miracle whip) as well as many oil based salad dressings. 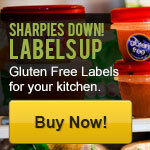 Most labels clearly distinguish gluten free on the label. All organic, real ingredient ice creams are considered gluten free. Sorbets, frozen ices, vegetables, fruits, and of course anything in the gluten free section of your grocer, for example, gluten free breads, donuts, cookies, pie crusts, waffles etc. Gluten free grains and seeds include Quinoa, rice, buckwheat, chickpeas, flax, almonds, and walnuts, sunflower, peanuts-really any fresh or raw nut- all beans. If you are purchasing any of these that are canned or prepackaged, it is important that you read the labels. All fresh milk, half-and-half, cream, whipping cream, aged cheeses, butter, margarine,yogurts,cottage cheese, sour cream, cream cheese, eggs,tofu, Jell-O, rice pudding, tapioca pudding, 100% fruit juices. I recommend sticking to certified gluten free cereals. Gluten free Chex, Gluten free Rice Krispies, Enviro-Kids Panda puffs, Koala Crisps, Leaping Lemurs, gluten free granola's, Cream of rice and the list can go on and on. Check out your local market’s gluten free section. If they don’t have one then they need to get one…Advocate with a petition for one to be had in your area!!! Just kidding! All natural sweeteners are considered gluten free. That would include, white refined sugar, organic raw sugar, honey, maple syrup, agave nectar, stevia to name a few. Sucrose, glucose, fructose, as well as sucralose are all considered gluten free. Corn (cornmeal), quinoa, brown rice, white rice, potato, garbanzo bean (NOT my personal favorite), coconut flour, buckwheat, teff, almond flour are all gluten free. In short, this gluten free food list may help you make wiser choices when you enter into a grocery store. Please take ownership of the labels so as to make sure that you are making the best decision for you. Mustard, ketchup, white distilled vinegar, apple cider vinegar, certain relishes, pickles, olives, banana peppers, jams/jellies. **If there are any items that are missing from this list or you would like to add, please contact me and I will gladly update this list. 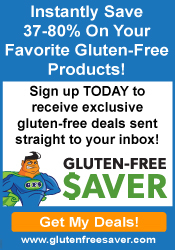 Also, if you would like a individual breakdown of foods, the list at Celiac.com will help. [? ]Like my Website? Subscribe to It!